The WLS-T25 is a twin, low intensity aviation obstruction light that is suitable for use in places that are without electricity. 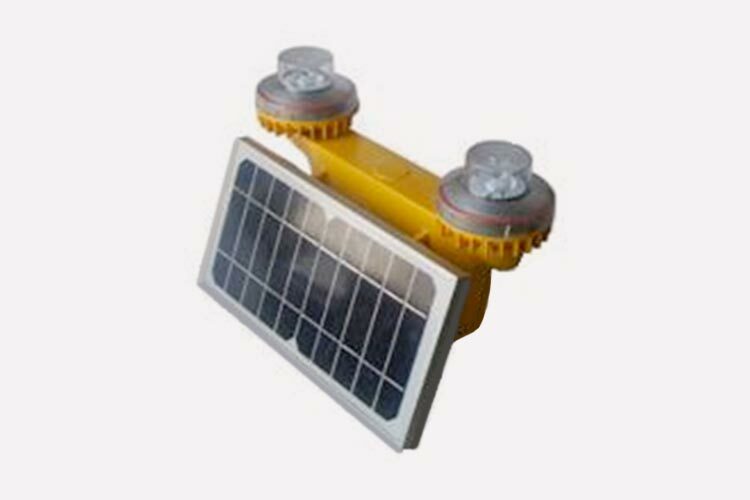 Offering automatic control this product can operate for seven days without any sunlight. This product is a low intensity aviation obstruction light that is suitable for use in places that are without electricity. There is no need for maintenance or management and it offers automatic control. This product can continuously operate for seven days without any sunlight. This product uses an ICAO standardised design with the advantages of shockproof and corrosion resistance. It consists of an aviation light, duty & stand-by controller, silicon solar panel and battery. This product complies with both ICAO (Annex 14) and FAA standards. The enclosure of this light is made of die casting aluminium (LM6) with a powder coated finish. Other advantages are that it is lightweight, waterproof, shockproof and corrosion resistant.